Construction of the dam started in 1941 and was finished in 1954. By impoundment of the valley depression, several villages disappeared. 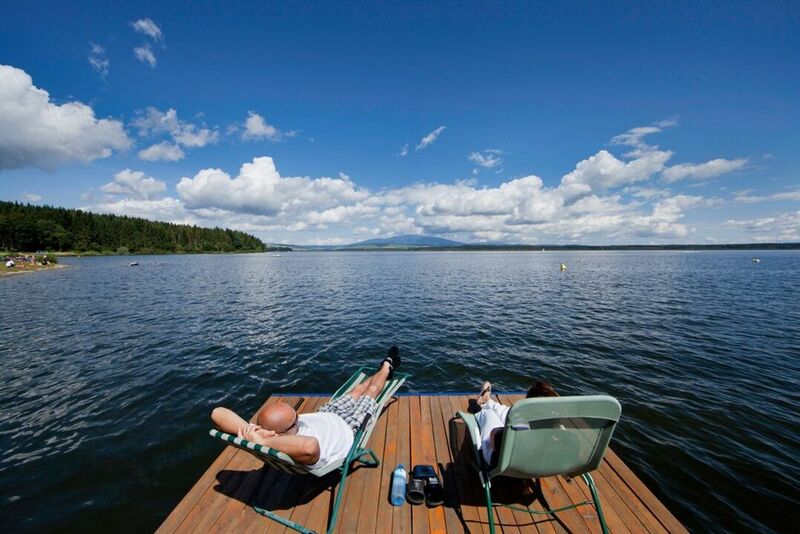 A favourite point in the reservoir is the Slanický ostrov island or Ostrov umenia, which used to be a village. The church standing there is the Roman-Catholic church built in 1766 – 1769. It shelters a permanent exposition of folk art with an out-door exhibition of stonemason art works. A boat ensures a regular communication between the shore and the island. 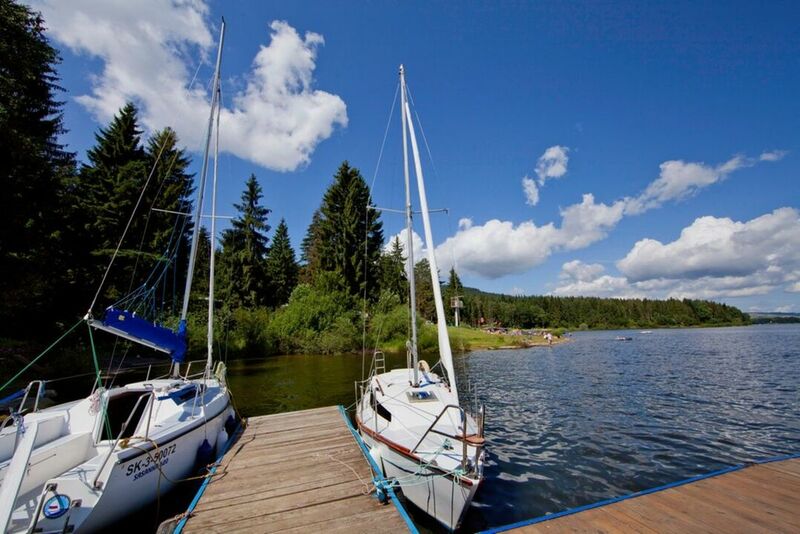 The Orava dam became an important holiday and sport centre with lodging, catering facilities and the usual services to the holidaymakers. 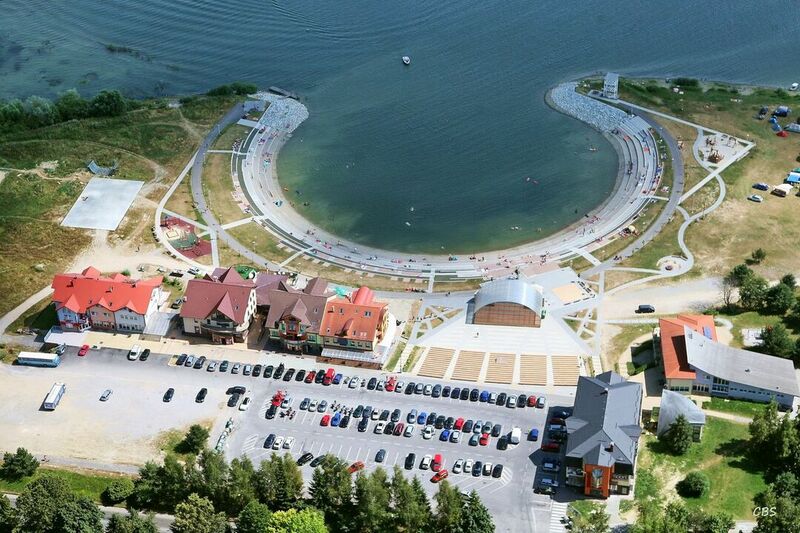 Sport and recreation facilities are concentrated on the southern shore of the water reservoir in two resorts: Slanická osada and the Goral Hotel. Numerous restaurants, hostels, hotels, two camping sites, sport facilities and sport equipment rental services contribute to the satisfaction of visitors. The summer tourist season starts in the middle of June and ends in September. There is also the possibility of a sightseeing tour by boat. Boats with regular departures every day during the summer season serve tourists.